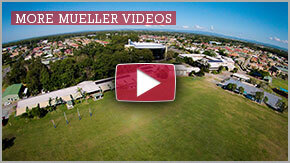 Sport is a valued pursuit at Mueller College that flows from the primary years through to Senior Secondary. Its importance and value is reflected in the level of involvement of students in and out of school, the myriad of opportunities to represent team and individual, and the rigorous curriculum of both the Junior Health Physical Education and Senior Physical Education programs. A physical activity program is structured for the different developmental stages of students and exposes students to a range of physical pursuits. Time is built in to their weekly timetable for an hour of physical education. This includes Swimming, Cross Country Carnival and Tabloid Sports Carnival. Upper primary are introduced to weekly Interschool Sport on a Friday afternoon, with the option to participate in competitive competition against neighbouring schools, or lower intensity intra-school and recreational sport options. 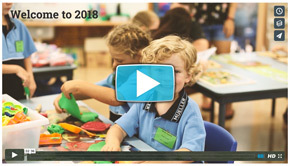 For Years 5 – 6 students, school sport representation opportunities exist in team and individual sports through Zone and District Finals, District and Regional Trials and Carnivals, and CSSA carnivals (cross country, swimming, athletics). Mueller College is passionate about seeing students reach their God-given potential in the realm of sport. The Mueller spirit of sport is “Effort and Encouragement”. This spirit runs deep through our inter house carnivals, inter-school teams and sporting academies. Years 7-11 take part in district weekly sport during school timetabled hours which provides the opportunity to play against neighbouring schools in competitive sport. This takes place on Wednesday (Year 9-11) and Thursday (Year 7-8) afternoons. There are a vast array of summer and winter sports offered. Mueller also gives students have the opportunity to play in the Brisbane Outer Schools League (BOSL). These teams are mostly filled with Year Twelve students but can also have talented students from younger grades. This high-caliber competition takes place on Monday afternoons outside of schools hours. Runs from Term 1, week 4 » Term 2, week 4. Mueller currently has three sporting academies Rubgy League (Boys), Netball (Girls) and Basketball (Both). These academies focus on improving individuals’ skills as well as building a strong culture of teamwork. They run from grade 7-12 and selections trials are held annually at the beginning of each year. There are a limited amount of spots. All academies train either before or after school and participate in additional competitions and tournaments outside of regular weekly sport. Zac has been involved in basketball for 15 years. He has played and coached at the local association Northside Wizards. He coached the open boys for three years at Grace Lutheran College before moving to Mueller in 2013 when he first started the Academy. Rachel has rich history with the game of Netball. She represented Queensland from 2008 to 2012 where she received some of the best coaching Australia had to offer. From this experience she began her coaching career in 2013 and started the Academy in 2014. Mueller is blessed to have such a talented and experienced Netballer heading up their program. Adriaan has four years of experience playing A-Grade football with Caboolture Snakes and the Pine River’s Holy Spirit rugby league teams. He has been coaching rugby league for the last 2 years at Mueller College and has years of experience coaching and running a variety sports at an inter-school and district level.